Introducing 6 hrs and above packages on Rentals by Ola. Planning to explore a new city? Or wish to go sightseeing from dawn to dusk? We have great news for you. Time is no longer an issue when you make your big plans. You can now book Ola Rentals 6hrs and above packages in Jalandhar, Amritsar, Ludhiana, Gorakhpur, Varanasi, Dehradun, Agra, Kota, Gwalior, Meerut, and Bareilly. To know more about the fares, have a look at the table below. This entry was posted in Uncategorized and tagged New routes, ola, Ola Blog, Ola Rentals on March 26, 2019 by sanjit roy. Introducing 6hrs & above packages on Rentals by Ola. Planning to explore a new city? Or wish to go sightseeing from dawn to dusk? We have great news for you. Time is no longer an issue when you make your big plans. You can now book Ola Rentals 6hrs and above packages in Vijayawada, Rajahmundry, Siliguri, Ranchi, Jamshedpur, Raipur, and Rourkela. To know more about the fares, have a look at the table below. This entry was posted in Uncategorized and tagged New routes, ola, Ola Blog, Ola Cabs, Ola Rentals on March 25, 2019 by sanjit roy. Enjoy the festival of colours with Ola Rentals. Whether it’s a party with your family and your friends, or a rain dance bash featuring popular DJs, enjoy the festival of colours to the fullest with Rentals by Ola. Stay in high spirits and stay safe this Holi. Forget about parking woes in crowded areas and the stress of driving. This entry was posted in Uncategorized and tagged Holi, ola, Ola Blog, Ola Rentals on March 18, 2019 by sanjit roy. Get Rs. 100 off on your Rentals ride this Holi. This entry was posted in Uncategorized and tagged Colours, Holi, ola, Ola Blog, Ola Rentals, RENT100 on March 15, 2019 by sanjit roy. Good news for Ola Outstation travellers! We have some great news for our Ola Outstation riders. We have introduced multiple new Ola Outstation routes. Whether it’s a trip back to Kolkata, Pune, Mumbai, Delhi or Coimbatore. We have you covered. Please have a look at the new routes. That’s not all, we also have a great offer for our first time Ola Outstation riders. This entry was posted in Uncategorized and tagged New routes, ola, Ola Blog, ola outstation on March 6, 2019 by sanjit roy. Our driver partners strive to make sure no one is ever stranded at the side of the road and that doesn’t just mean our customers. 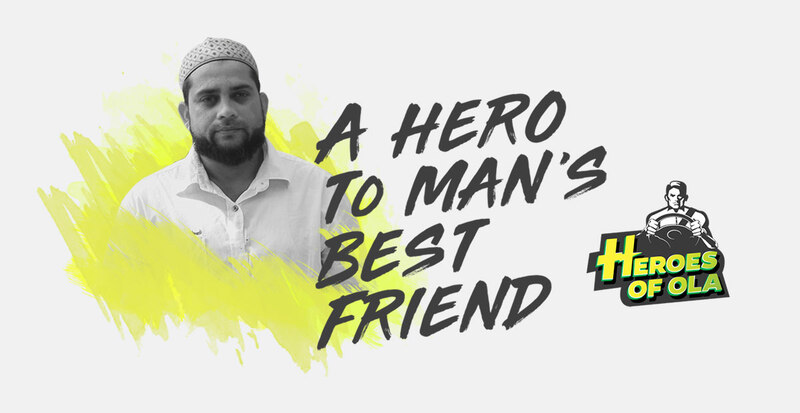 In this series, Heroes of Ola, it is our mission to highlight outstanding acts of heroism, compassion, and presence-of-mind of our partner drivers. But this episode is special, because it also showcases the generosity of spirit shown by you, our passengers. This entry was posted in Uncategorized and tagged Dog Friendly, Heroes of Ola, Man's best friend, ola, Ola Blog on March 5, 2019 by sanjit roy. Participate in the Mirchi Neon Run with Ola rides. Get ready for an awesome party you can run towards! Pull up your party socks and gear up for the Mirchi Neon Run. You can enroll either for the 5km run or the 3 km one. Partake in this fun spirited & happening race which is being organized in Joyville Hinjewadi on 9th March by Radio Mirchi. Ola is associating as the official ride partner to co-promote the event. Here’s your chance to win free entry to the event. The Mirchi Neon Run took its first step in 2015 and is now a 22 city event across India. With a winning combo of a Zumba warm-up session, a post-run BDM party with DJ Suketu and loads of exciting neon glow-in-the-dark merchandise & accessories, this fun run is all that you need for a colourful night out. Now, it’s time to get, set, GLOW. Each participant will receive a T-Shirt and finisher medal. This entry was posted in Uncategorized and tagged Free entry, Neon Run, ola, Ola Blog, Ola rides, Pune, Radio Mirchi on March 1, 2019 by sanjit roy. Ola Bike ride at Re. 1 just for your friends. With Ola Bike, you get the quickest ride on the road at extremely affordable fares. 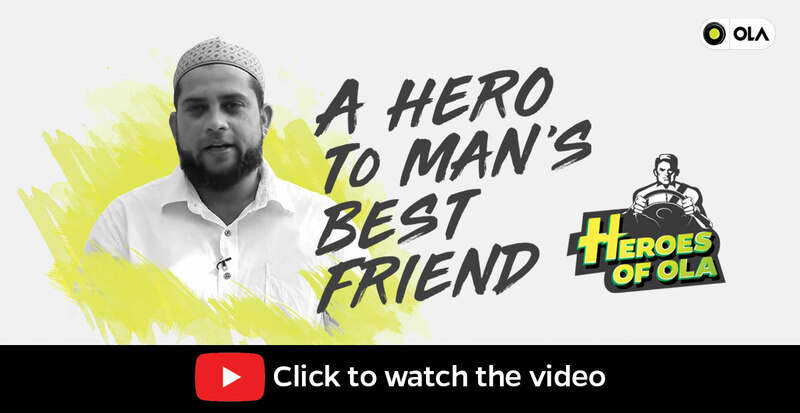 You can now tell your friends about this awesome ride and gift them this incredible Ola Bike ride offer. This entry was posted in Uncategorized and tagged ola, Ola Bike, Ola Blog, Re. 1 for 4 km, refer a friend on February 21, 2019 by sanjit roy. Ride Ola Bike at Rs. 5 per km. Being late is now a thing of the past. With Ola Bike, you get the quickest ride on the road at extremely affordable fares. All you need to do is input your pick-up and drop point and before you know it, there will be a rider waiting for you with a helmet! That’s not all, you can now enjoy your Ola Bike rides at just Rs. 5 per km. So it does not just save your time, it also saves you a dime. This entry was posted in Uncategorized and tagged 5 per km, ola, Ola Bike, Ola Blog on February 21, 2019 by sanjit roy.